Wow! What a week last week was. The week was full of major milestones including the Building 34 opening in Rockhampton, with none other than the Prime Minister. Federal Education Minister Simon Birmingham also visited us in Mackay, officially opening the brand new $16.6 million Rennie Fritschy Engineering Building at the Ooralea campus. And on top of this we also celebrated the launch of the University’s new postgraduate programs in Domestic and Family Violence Practice in Brisbane. The Queensland State Minister for the Prevention of Domestic Violence, Shannon Fentiman was the guest speaker at this event and importantly used the occasion to announce $3.7 million in new funding, over five years, for CQUniversity’s Centre for Domestic and Family Violence Research (CDFVR). Opposition Leader, the Hon. Bill Shorten was also in Mackay last Friday and we were happy to show him around our fantastic facilities and update him on our activities in the region. I’m sure you’ll agree it was a big week for political visits and I think this is a testament to the fantastic work CQUniversity is doing. The word is certainly getting out and I’m very proud to host our pollies and promote the difference we are making across Australia. Of course, in acknowledging the great work CQUniversity is doing, I must also acknowledge the contribution of our Chancellor, Mr Rennie Fritschy. Much has been achieved under his leadership and his contribution will be felt for many years to come. Last week we also held our final farewell function for Rennie in Mackay, which was a wonderful way for just just CQUniversity but also the community to celebrate and recognise his service to our university. Please scroll down and click on the images below to have a look at our photo galleries from the many happenings last week. This time last week I was in India as part of a short trip overseas. 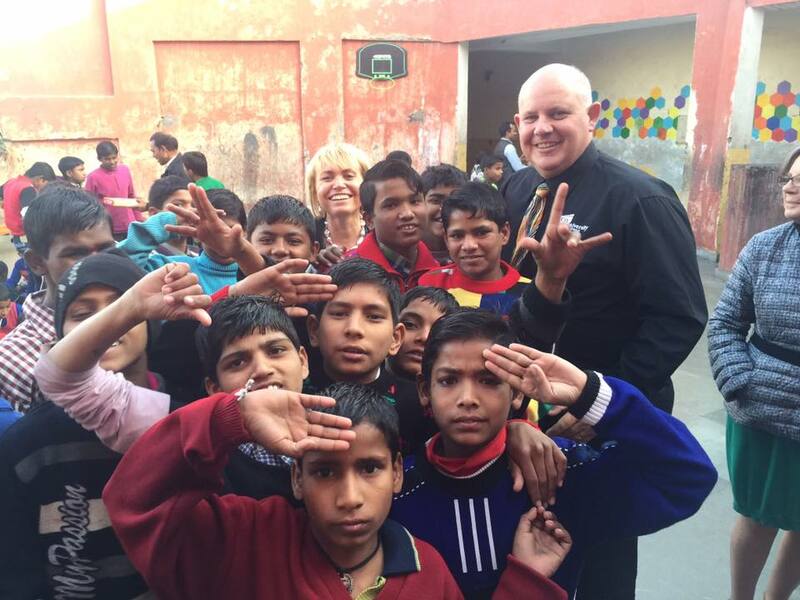 I stopped in India on the way back from the Middle East to attend alumni events and to also visit the children at the Salaam Baalak Trust (SBT). As always it was a great visit. India is a wonderful country. 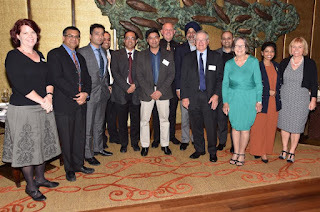 It’s always inspiring to catch up with our Indian alumni as so many have gone on to achieve remarkable things and most importantly are now helping others to do the same. It’s also fantastic to hear about how proud they are to be an alumnus of CQUniversity and hear their stories of studying in Australia. It’s great to see this cohort is still so engaged with their university and even better that they have so many ideas in relation to our Strong to Great vision. Whenever I visit India I also try to organise some time at the Salaam Baalak Trust. CQUniversity has a long running partnership with SBT and we are proud to support the work they do, giving some of Delhi’s most disadvantaged children a new life. CQUniversity contributes financially to the Trust and also sponsors the SBT City Walk program run by some of the Trust’s older children. Along with this we also fund a number of scholarships for SBT students to attend university in India – something that is life changing for the recipients. Hearing about their study success is always a highlight! The Salaam Baalak Trust also changes the lives of other students as well – those of our students who visit during study tours. Each year groups of education and nursing students travel to India to work with the staff and children at SBT and all of them say how the trip not just enriched their learning experience but so too changed their lives. 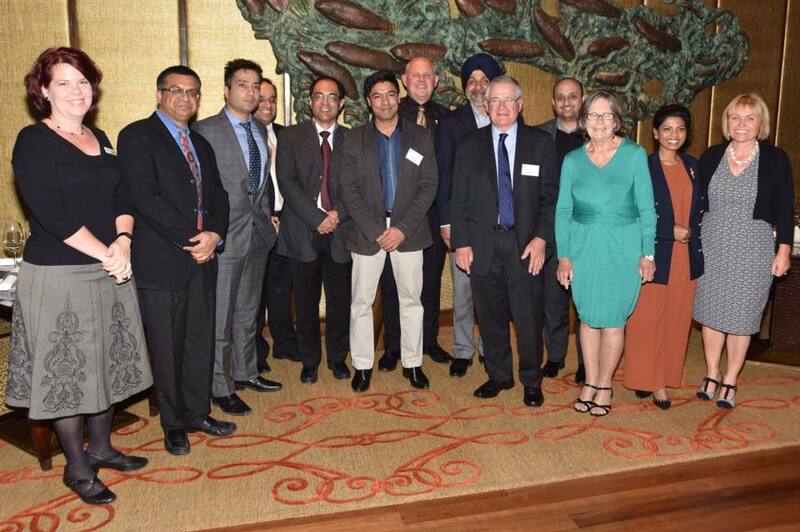 Currently, another group of CQUniversity students (engineers) are also in India as part of an Engineers Without Borders tour. The tour is made up of 45 students from universities across Australia and 17 of these students are studying engineering at CQUni. This opportunity sounds incredible as they will be working with community leaders in Pune (near Mumbai) to identify community challenges and design solutions for them. At the end of two weeks they will deliver these solutions back to the community. The whole experience is based on human centred design and will focus heavily on social innovation. I would have loved to join them, even for just a few days to share this experience but unfortunately time didn’t permit. Fortunately, our university photographer and cameraman is touring with them though so in a few weeks I should be able to share some great photos and footage of this. I think it’s so great that before the study year even begins some of our students are already discovering the world and finding ways to make a positive difference. Looking forward to hearing their stories and seeing the images. To begin the year I have been fortunate enough to travel abroad on university business to the Middle East and India. 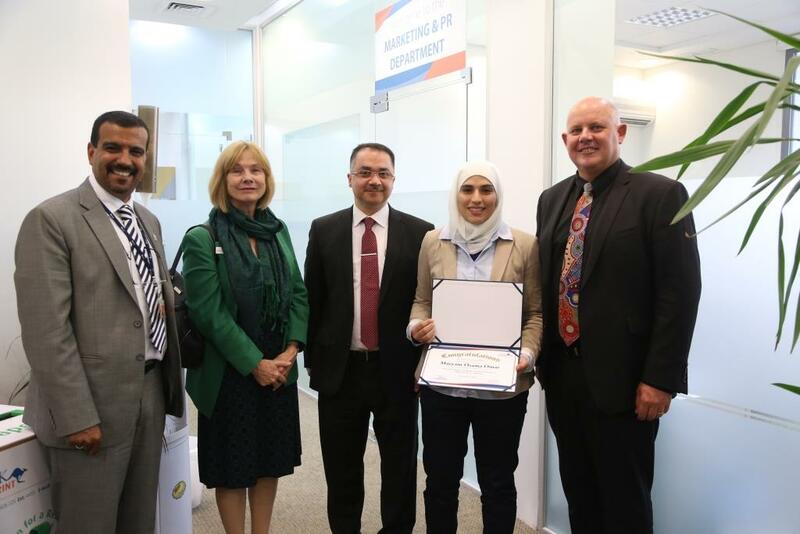 The first leg of the trip was to Kuwait, to officially celebrate the ongoing partnership between CQUniversity and the Australian College of Kuwait (ACK). The partnership has seen CQUniversity establish an office at the college, with a staff member from CQUniversity permanently based there. Joahanne Flynn has been appointed to this role and will work to establish strategic research and learning and teaching linkages between the two institutions. Most excitingly however, is that ACK will now be sponsoring selected graduating students, to study their masters or PhD’s in Australia, at CQUniversity. The first such student to receive a scholarship was Maryam Omar. While in Kuwait we presented Maryam with her scholarship and also got to spend some time with her, learning about her studies, work experience and goals for the future. Thanks to the scholarship Maryam will travel to Australia this year to complete her masters of engineering at the Melbourne campus. Maryam is a very accomplished young woman having recently graduated from ACK with a Bachelor of Engineering (Civil) and a perfect GPA of 4.0 out 4.0. She has recently started work as an engineer and also happens to be a very talented cricket player. In fact Maryam was the captain of the Kuwait National Women’s Cricket team in 2013! I really look forward to welcoming Maryam to CQUniversity and Australia in Term 2.